Williamson, Inc. and Nashville Area Hispanic Chamber of Commerce sign inter-chamber Corporate Partnership | Williamson, Inc.
Hispanic entrepreneurs in Williamson County will now have a new resource to grow and thrive their business trough an inter-chamber strategic corporate partnership signed today by Williamson, Inc., the chamber of commerce and office of economic development in Williamson County, and the Nashville Area Hispanic Chamber of Commerce (NAHCC). 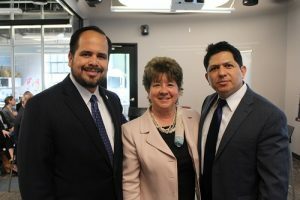 The agreement, signed during NAHCC’s 18th Annual Membership Meeting and Chairman’s Hispanic Leader Roundtable at the Nashville Entrepreneur Center, is designed to increase minority small business recruitment, provide business support services and establish a working relationship with NAHCC that will promote economic development in the region. 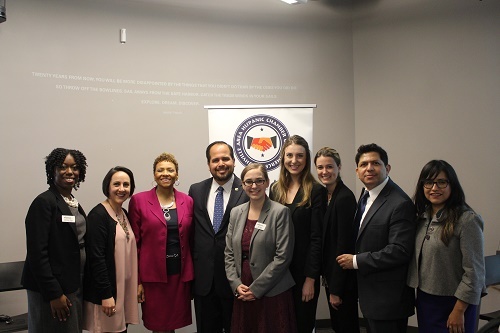 “It is our great pleasure to be signing this agreement, that I am sure will benefit both organizations,” said Williamson, Inc. Office Manager Claudia Herrera, who spoke on behalf of the organization and was instrumental in creating the partnership. NAHCC President and CEO Yuri Cunza signed the agreement in front of a crowd of approximately 60 members and special guests, which included Nashville Vice Mayor David Briley and former Nashville mayor Karl Dean. Dean, who recently announced his 2018 gubernatorial bid, delivered welcome remarks that focused on the economic value that immigrant small business owners bring to Nashville’s rapidly growing job market. Following the announcement, a panel of Hispanic business leaders led a roundtable discussion, moderated by NAHCC Board Chairman Luis Parodi, on the successes and challenges of entrepreneurship in America. The roundtable participants were renowned fashion designer Manuel Cuevas, owner of Manuel American Designs, Dr. Kleber Molina, owner of EduMed Partners, Alice Heffernan Salazar, owner of Santo Niño de Atocha Tortilleria, and Rolando Toyos, M.D., medical director and founder of Toyos Clinic. To learn more about Williamson, Inc., visit williamsonchamber.com. 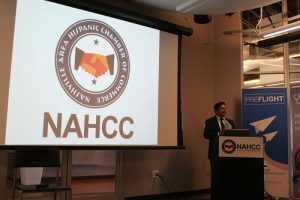 To learn more about the NAHCC, please visit www.nashvillehispanicchamber.com. Founded in January of 2000, the NAHCC actively promotes the economic growth and development of Hispanic entrepreneurs representing the interests of small business members in the Nashville and surrounding areas. The NAHCC connects, entrepreneurs and micro-enterprises, facilitating strategic alliances, networking and sharing of business and financial best practices. Williamson, Inc. serves as the chamber of commerce and economic development office in Williamson County. Through community and economic development, Williamson, Inc. uses an innovative approach to building a prosperous business community by offering educational programs, networking events, business services, vocal business advocacy and business growth opportunities. Connect with Williamson, Inc. at www.williamsonchamber.com, on Facebook, Twitter, Instagram, and LinkedIn.